An electric powertrain and a wooden seat. Need we say more? We’ll let you into a little secret: we absolutely adore the smell of petrol and can’t get enough of a set of straight-through exhaust pipes here at Flat-Out. It’s our analeptic. But point us in the direction of an all-electric street machine with a hand-carved wooden seat and we’re like putty in your hands. 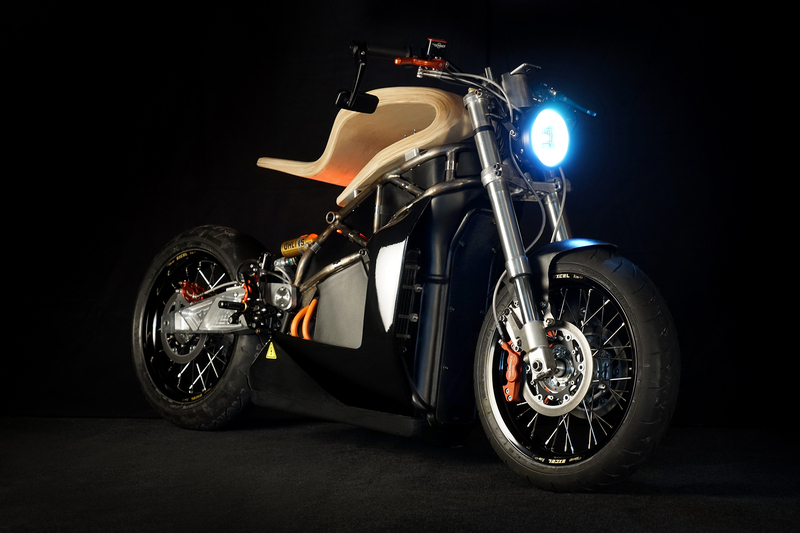 The staggeringly beautiful and decidedly ligneous E-RAW you see before you is a collaboration between French start-up Essence Motocycles and the equally Gallic Expemotion design bureau working out of Lyon. The E-RAW’s main purpose is to change the way we think about two-wheeled transportation and its potent electric powertrain frees up room where the petrol tank would sit, meaning the designers could let their imaginations and lust for tree trunk run wild. At the heart of the machine is an 80kW electric motor that delivers the equivalent of around 109hp and a staggering 180Nm of torque. And of course, because this is electric, that grunt will be delivered the moment the throttle is twisted. 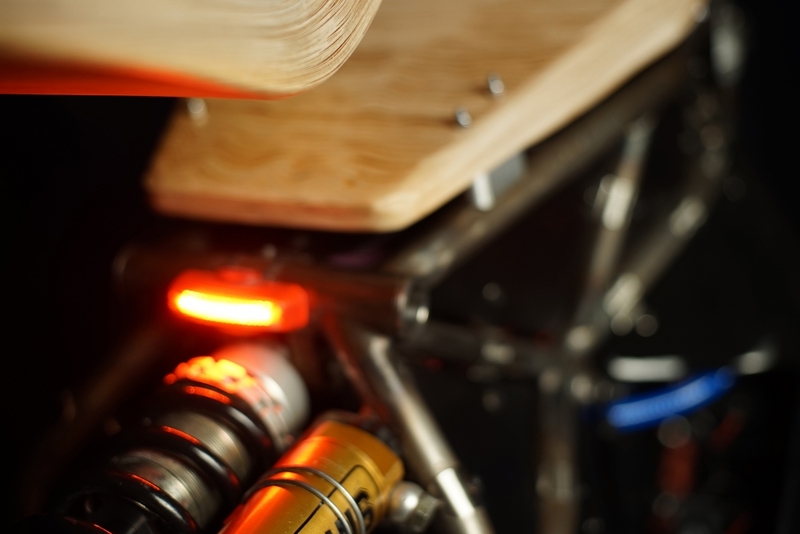 According to Essence, the bike weighs in at around 167kg and the on-board batteries are good for an estimated 115-miles of unadulterated riding before the cells need brimming (this takes 30 minutes or so). Oh, and the 0-62mph sprint is nailed in under 3.5-seconds, which makes it about as quick as a Lamborghini Huracán. But let’s not get bogged down in the details, because this is a design exercise, not a drag racer. 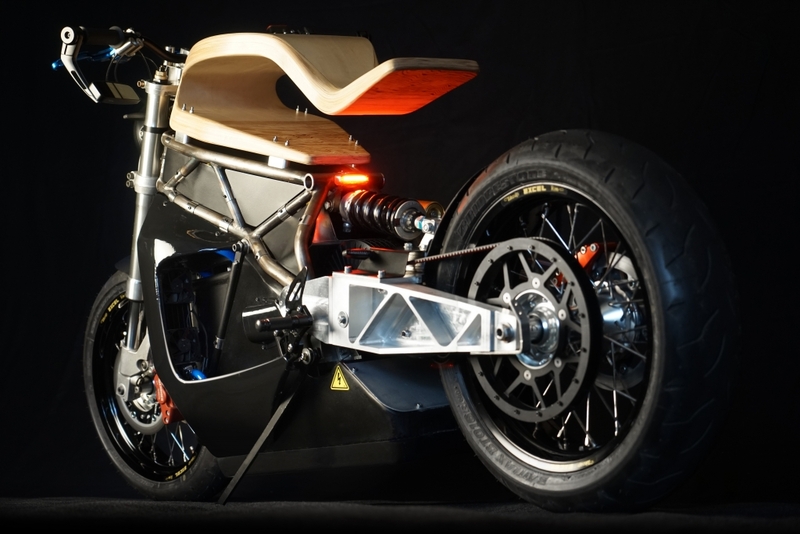 Instead, let’s marvel at the beautiful exposed tubular steel frame, the plywood seat (it also acts as a sort of timber swing arm suspension system), the naked Ohlins rear shocks and the clever iPhone-esque display that appears to do a lot more than simply offer range and speed readouts. Only ten E-RAW models will go on sale, each with a reported price tag of around £50,000, but that’s a veritable bargain when you consider this is, first and foremost, a functional piece of art. Is Nissan's madcap concept the future of electric sports cars?